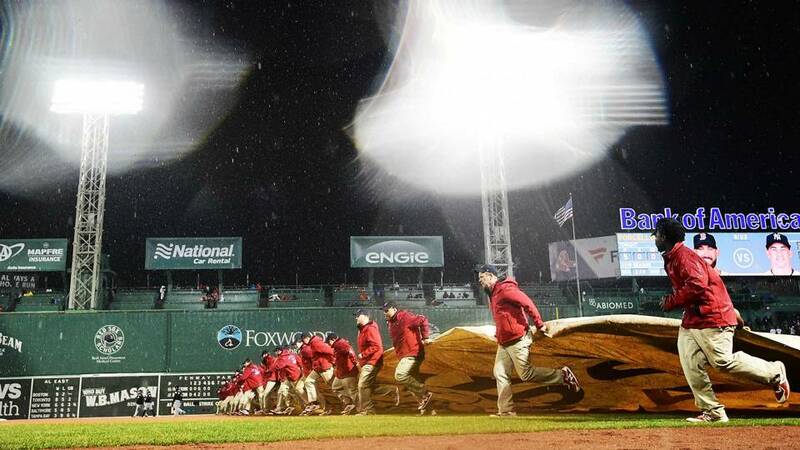 It's looking more and more like Tuesday night's game between the Red Sox and Orioles will be a washout. Boston has an available off-day on Thursday—but the Birds do not. So, assuming anyone cares if Game #158 is even played, it will probably be part of a day/night, double-admission twin-bill on Wednesday (probably 12PM and 7PM). If the Red Sox clinch the best overall record in MLB tonight, these remaining two games with our fine feathered friends from Chesapeake Bay will truly be moot. We suppose that Buck Showalter might try to motivate the troops to get to 50 wins on the year (they need five more to do that, by the way). But, that strategy is highly unlikely to stimulate a team that has already lost 110. The Orioles cannot match the Modern Era record for losses (120 by the 1962 New York Metropolitans), so there's not even that. In short, for The Carmine Hose (and their fans), October baseball cannot come soon enough.